Chapter 36A - Trusts and Trustees. Article 1 - Investment and Deposit of Trust Funds. §§ 36A-1 through 36A-7: Recodified as §§ 32-70 through 32-76 by Session Laws 2005-192, s. 1, effective January 1, 2006. §§ 36A-8 through 36A-12. Reserved for future codification purposes. Article 2 - Removal of Fiduciary Funds. §§ 36A-13 through 36A-16: Repealed by Session Laws 2005-192, s. 1, effective January 1, 2006. §§ 36A-17 through 36A-21. Reserved for future codification purposes. Article 3 - Trust Administration. § 36A-22: Repealed by Session Laws 2001-413, s. 1, effective January 1, 2002. § 36A-22.1: Repealed by Session Laws 2005-192, s. 1, effective January 1, 2006. § 36A-23: Repealed by Session Laws 2001-413, s. 1, effective January 1, 2002. § 36A-23.1: Repealed by Session Laws 2005-192, s. 1, effective January 1, 2006. § 36A-24: Repealed by Session Laws 2001-413, s. 1. § 36A-24.1: Repealed by Session Laws 2005-192, s. 1, effective January 1, 2006. § 36A-25: Repealed by Session Laws, 2001-413, s. 1. § 36A-25.1: Repealed by Session Laws 2005-192, s. 1, effective January 1, 2006. § 36A-26: Repealed by Session Laws 2001-413, s. 1. § 36A-26.1: Repealed by Session Laws 2005-192, s. 1, effective January 1, 2006. § 36A-26.2: Repealed by Session Laws 2005-192, s. 1, effective January 1, 2006. § 36A-26.3: Repealed by Session Laws 2005-192, s. 1, effective January 1, 2006. § 36A-27: Repealed by Session Laws 2005-192, s. 1, effective January 1, 2006. § 36A-28: Repealed by Session Laws 1999-216., s. 2. § 36A-29: Repealed by Session Laws 2005-192, s. 1, effective January 1, 2006. § 36A-30: Repealed by Session Laws 2001-413, s. 1. § 36A-31: Repealed by Session Laws 2005-192, s. 1, effective January 1, 2006. § 36A-32: Repealed by Session Laws 2005-192, s. 1, effective January 1, 2006. § 36A-33: Repealed by Session Laws 2005-192, s. 1, effective January 1, 2006. §§ 36A-34 through 36A-35: Repealed by Session Laws 2001-413, s. 1, effective January 1, 2002. § 36A-36: Repealed by Session Laws 2005-192, s. 1, effective January 1, 2006. § 36A-37: Repealed by Session Laws 2005-192, s. 1, effective January 1, 2006. § 36A-38: Repealed by Session Laws 2001-413, s. 1. § 36A-39: Repealed by Session Laws 2005-192, s. 1, effective January 1, 2006. § 36A-40: Repealed by Session Laws 2005-192, s. 1, effective January 1, 2006. § 36A-41: Repealed by Session Laws 2001-413, s. 1. §§ 36A-42 through 36A-46. Reserved for future codification purposes. Article 4 - Charitable Trusts. §§ 36A-47 through 36A-54: Repealed by Session Laws 2005-192, s. 1, effective January 1, 2006. §§ 36A-55 through 36A-59. Reserved for future codification purposes. Article 4A - Charitable Remainder Trusts Administration Act. §§ 36A-59.1 through 36A-59.7: Repealed by Session Laws 2005-192, s. 1, effective January 1, 2006. § 36A-59.8. Reserved for future codification purposes. § 36A-59.9. Reserved for future codification purposes. Article 4B - North Carolina Community Trust Act. §§ 36A-59.10 through 36A-59.20: Repealed by Session Laws 2005-192, s. 1, effective January 1, 2006. § 36A-59.21: Repealed by Session Laws 1991 (Regular Session, 1992), c. 1044, s. 48(a). Article 5 - Uniform Trusts Act. §§ 36A-60 through 36A-62: Repealed by Session Laws 2005-192, s. 1, effective January 1, 2006. § 36A-63: Recodified as § 53-163.1 by Session Laws 2005-192, s. 1, effective January 1, 2006. §§ 36A-64 through 36A-66: Repealed by Session Laws 2005-192, s. 1, effective January 1, 2006. § 36A-66.1: Recodified as § 53-163.2 by Session Laws 2005-192, s. 1, effective January 1, 2006. §§ 36A-66.2 through 36A-84: Repealed by Session Laws 2005-192, s. 1, effective January 1, 2006. §§ 36A-85 through 36A-89. Reserved for future codification purposes. Article 6 - Uniform Common Trust Fund Act. §§ 36A-90 through 36A-94: Recodified as §§ 53-163.5 through 53-163.9 by Session Laws 2005-192, s. 1, effective January 1, 2006. §§ 36A-95 through 36A-99. Reserved for future codification purposes. Article 7 - Trusts of Death Benefits. §§ 36A-100, 36A-101: Repealed by Session Laws 2005-192, s. 1, effective January 1, 2006. §§ 36A 102 through 36A 106. Reserved for future codification purposes. Article 8 - Testamentary Trustees. §§ 36A-107, 36A-108: Repealed by Session Laws 2005-192, s. 1, effective January 1, 2006. §§ 36A-109 through 36A-114. Reserved for future codification purposes. Article 9 - Alienability of Beneficial Interest; Spendthrift Trust. § 36A-115: Repealed by Session Laws 2005-192, s. 1, effective January 1, 2006. §§ 36A-116 through 36A-119. Reserved for future codification purposes. Article 10 - Trusts Accounts in Financial Institutions. § 36A-120: Repealed by Session Laws 2005-192, s. 1, effective January 1, 2006. §§ 36A-121 through 36A-124. Reserved for future codification purposes. Article 11 - Termination of Small Trusts. § 36A-125: Repealed by Session Laws 1999-266, s. 1, effective January 1, 2000. Article 11A - Modification and Termination of Irrevocable Trusts. §§ 36A-125.1 through 36A-125.12: Repealed by Session Laws 2005-192, s. 1, effective January 1, 2006. §§ 36A-126 through 36A-129. Reserved for future codification purposes. Article 12 - Marital Deduction Trusts. § 36A-130: Repealed by Session Laws 2005-192, s. 1, effective January 1, 2006. §§ 36A-131 through 36A-134. Reserved for future codification purposes. Article 13 - Powers of Trustees. §§ 36A-135 through 36A-141: Repealed by Session Laws 2005-192, s. 1, effective January 1, 2006. §§ 36A-142 through 36A-144. Reserved for future codification purposes. Article 14 - Honorary Trusts; Trusts for Pets; Trusts for Cemetery Lots. §§ 36A-145 through 36A-148: Repealed by Session Laws 2005-192, s. 1, effective January 1, 2006. §§ 36A-149 through 36A-160. Reserved for future codification purposes.  Article 15 - North Carolina Uniform Prudent Investor Act. §§ 36A-161 through 36A-173: Repealed by Session Laws 2005-192, s. 1, effective January 1, 2006. §§ 36A-174 through 36A-178. Reserved for future codification purposes.